Licensed games for movies are far from unexplored territory. They’ve been a staple of video games since the creation of the medium. Some of them have even gone on to become iconic parts of gaming, such as Goldeneye 007. 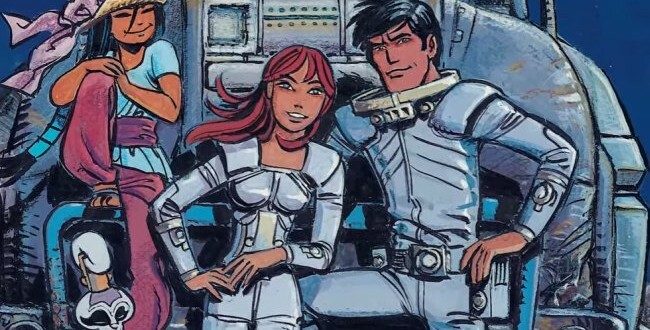 The latest movie to receive a licensed game will be the upcoming Valerian and the City of a Thousand Planets. Europacorp, the studio behind the movie, has chosen Spil Games to create a mobile and web game for the film. Valerian is a science-fiction movie with a budget of 180 million dollars, and is currently in post-production. The intention is for it to be a spiritual successor to The Fifth Element. It will be released world wide in July of 2017, and Europacorp has set the launch date of the game to be a few weeks before the release of the movie. Spil Games was chosen to make the game adaptation of Valerian for their prior work. Their games have managed to accumulate an impressive total of 120 million monthly users. This was the key for Europacorp choosing to work with them, as they wish to utilize Spil Games’ ability to connect to such a wide audience for cross-marketing opportunities. They were also chosen because they impressed Europacorp with their understanding of the world of Valerian. Tung Nguyen-Khac the CEO of Spil Games, is very excited to be working on the Valerian game. He is confident in his team’s ability to create a game that will amplify the concepts the movie is based on. “It’s no longer enough to make a game that just mimics the movie,” he said. “Yes, players want to dig further into the story but the game also has to be cool and fun to play in its own right.” He concluded by saying that Hollywood producers understood that captivating their audience was the perfect way to strengthen the brand.